Dr. Vishnuvardhan Reddy Meedimale is a consultant Paediatrician in Apollo Cradle, Kondapur, Hyderabad. He has practiced in India and UK for the past 21 years. He is well-verse with the values and sentiments of both cultures as well as the Western standards which can be adapted to our requirement. He is an active member of various associations in his field like Royal College of Paediatrics and Child Health, UK, Member Of Royal College Of Physicians Ireland, Indian Academy of Paediatrics (IAP). He specializes in Neonatal Care and is sought after for his successful treatment and expertise in the field. 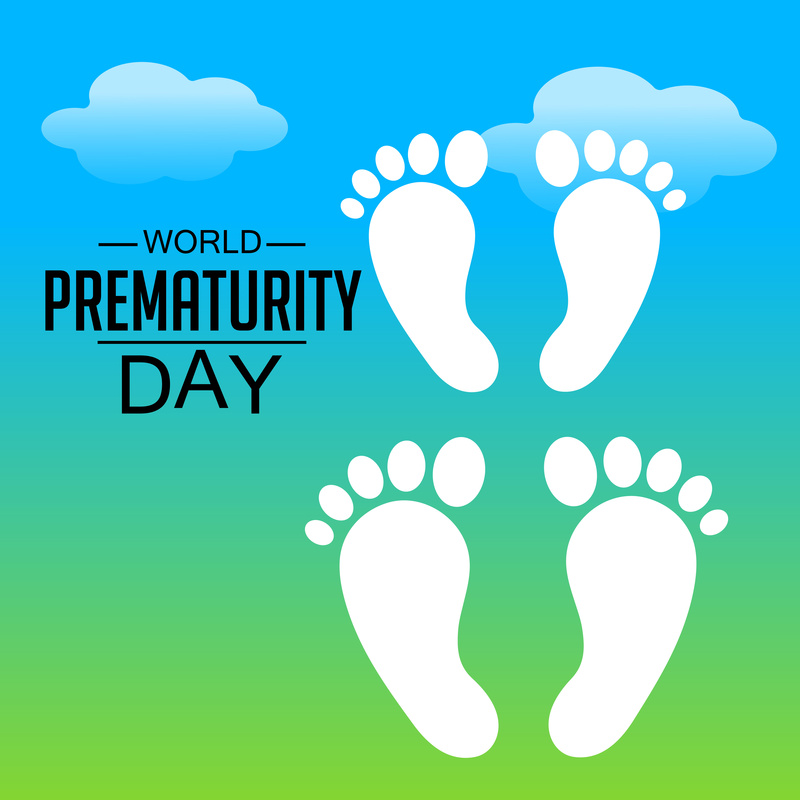 On the occasion of World Prematurity Day, he presents us insights into the world of Neonatal Care, and shares his stories of spreading happiness and joy. Neonatal intensive care medicine gives me an opportunity to continue caring for critically ill neonates from the full range of sub-specialties. The attention to detail in each and every aspect of patient care attracts me towards neonatal intensive care.I can’t think of a more rewarding or more challenging opportunity-than providing life-saving care for new born babies- who are at a great social and medical disadvantage because they are almost entirely dependent on others to care for them.I listen to parents’ concerns sympathetically and involve them proactively in the management of their baby’s health. Parents often appreciate my ability to explain them their baby’s health status in simple and an understandable manner. This engages them positively in their progress and development. Neonatal intensive care is a relatively new,exciting and growing specialty. It gives me an opportunity to be part of dedicated team of highly trained professionals. I am a compassionate person and I enjoy my work. Showing empathy, being sympathetic and enthusiasm to gain further knowledge, good communication abilities and sound clinical skills are few of the attributes that help me continue a successful career in Neonatal intensive care. 3) What’s the biggest challenge you’ve faced? The biggest challenge I face is when the parents have given up on their baby, but I keep insisting on continuing the intensive care support. This is an additional challenge as I have to provide optimum medical care to the baby- keeping in mind the financial strain on the parents. There is a lot of pressure to be successful in the case, which is not always guaranteed in an intensive care set up. I can remember on two occasions I got into this situation. In the first, there was a full term baby who had severe meconium aspiration syndrome (respiratory problem) which was not improving with conventional ventilation. There was a likelihood of benefitting the baby with an ECMO support. But parents were not keen on this, in view of the high costs of the treatment, as theywere hesitant about the outcome. I had several lengthy discussions with the parents and convinced them for an ECMO support. I visited the baby on a regular basis and provided expert medical care, which gave them fruitful dividends. The second case was of premature twins. One of the twins had antenatal diagnosed congenital diaphragmatic hernia. As the parents were already counseled by their previous doctor and had made up their mind to give up on that twin, and instead, save the other healthy twin. I had to convince them to still try and save both their babies. With our team effort both the twins are doing well, and have celebrated their first birthday without any sequela. 4) Can you share a case study on a premature baby that you have handled at Apollo Cradle? Congenital Diaphragmatic Hernia (CDH) is a common birth defect occurring in about 1 in every 3000 live births. It is commonly associated with other birth defects – mainly inadequate development of lungs and cardiac defects. It is diagnosed antenatally during a routine anomaly scan, around the 18th to 23rd week of pregnancy or immediately after birth. A 28 year old pregnant mother was admitted at Apollo Cradle, Kondapur with antenatal diagnosis of Pre-term Twin pregnancy with one twin diagnosed with CDH. We at Apollo Cradle have a fully equipped NICU with the facility to provide High Frequency Oscillatory (HFO) Ventilation support which is very vital in Pre-term/Pulmonary hypoplasia/RDS/PPHN, as was the case here. A pediatric surgeon is also available round the clock to attend to surgeries. The twins were delivered Pre-term at 34 weeks of pregnancy – they were shifted to the NICU immediately as they required ventilator support. The baby with CDH was stabilized initially and was operated on the 2nd day of life for surgical repair of the hernia. After surgery, the baby required HFO ventilator support and after intensive therapy, the baby was weaned off mechanical ventilation gradually. The baby was transferred out from the NICU after 13 days and was accepting mother’s feed and progressing well. The baby was discharged from hospital with complete recovery. He continued to do well in terms of his respiratory status and development. He, along with his twin brother, is currently enjoying a healthy childhood.